I've been enjoying the rare and delicious Coconut M&Ms lately. 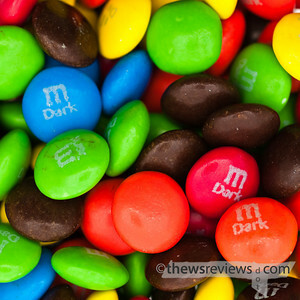 They are as big as the Peanut Butter ones, but instead of being chewey like an Almond Joy the coconut is a flavor added to M&M's already superb choco/candy mix. Coconut chocolate sounds interesting, but while I'd try it I'm not sure it would be for me. For some reason I'm not a huge fan of coconut, even though I liked it as a kid. These days I'm not even interested in curries that contain it. Call it regression. I have a weekend of early mornings coming up, so I have a pack of these set aside. Now all I need is some Almond M&M's and I'll be all set for sunrise photography. I was in the US recently, and tried the Chocolate Coconut because I remembered you mentioning it - not bad, but Coconut's never really been my thing. 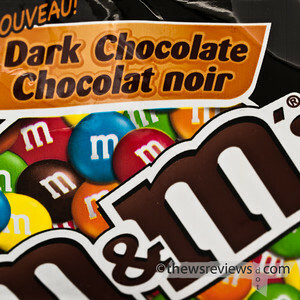 I was also surprised to see that the package for the Dark M&M's was purple instead of black. I don't know if that's the usual thing, but I'm always interested to see the little differences.